* R/C MODEL AIRPLANES - Express Hobbies Inc.
Drop by and checkout our complete inventory of Model Airplanes and supplies. 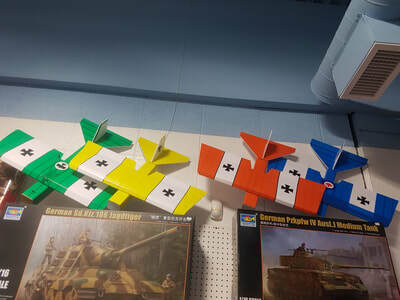 Take a flight on our IN STORE FLIGHT SIMULATOR. 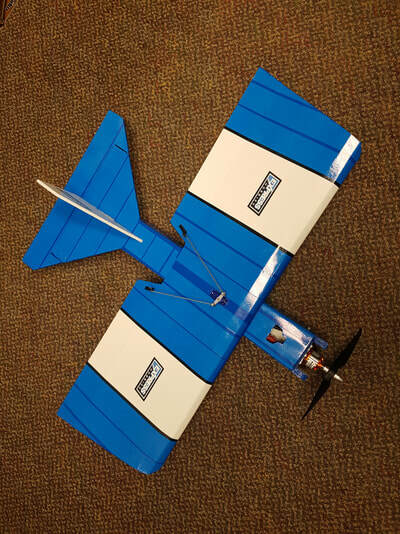 We fly at the local Hub City R/C Club flying field and are MAAC members. We have all the membership forms and information to get you started. 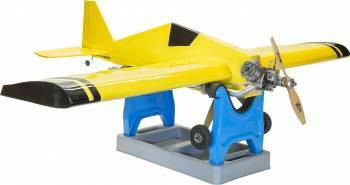 Ernst Ultra Stand is the perfect utility work stand for model airplanes! 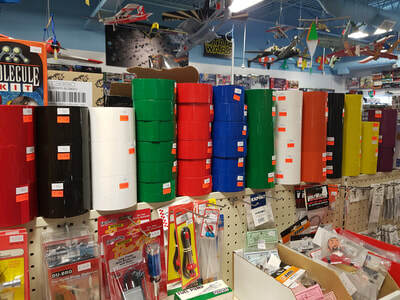 The Ultra Stand is vacuum formed from heavy gauge fuel and paint resistant plastic and features 3/8" thick foam padded fuselage cradles that securely hold your fuselage in position without marring the surface. Convenient trays are located in the base for tools and parts and the three piece design assembles and disassembles quickly for easy storage. all of the hardware needed to enjoy the great sport of Combat Flying ! The Bloody Baron is a four channel combat / sport plane. Coupled with our Power Pack B, the Bloody Baron can be flown as a 4 channel trainer. 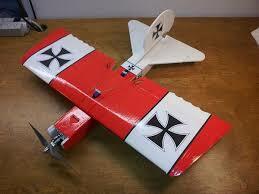 Use the Power Pack C and the Bloody Baron will climb vertically with ease and is capable of most basic aerobatics. Thank you for choosing the FT Simple Cub as your next FT project. Our passion at FliteTest is to introduce this great hobby to as many people as possible.It is also to make that journey as fun as possible. This design focuses on both goals more than anything. We learned a ton from the tiny trainer on the value of growing with one aircraft from 3 to 4 channel. We also learned that a landing gear adds another very important skill set and source of fun to every pilot.We did not want this design to end there.Versatility is also very important as well. The landing gear of the FT Simple Cub can be removed to either fly as a belly lander or on optional floats specially designed for this great little trainer. Ask about our introductory price for new Hub City R/C Club members. Here is a cool collector item for all you OS engine buffs..
A gold plated OS #8 Gold Glow Plug. It says Limited Edition on the front and 80th anniversary on the Logo. If you enjoy flying large 1.80- to 2.20-size sport and scale airplanes, the Evolution® 40GX engine is the perfect powerhouse. The 40cc gas engine includes an advanced electronic ignition system that is compatible with 2-cell 7.4V Li-Po battery packs. It uses relatively little fuel and features an innovative spring-loaded choke design. This purpose-built engine brings the clean and economical operation of gas to any 1.20- or 1.80-size sport or scale airplane. The Evolution 40GX is part of the outstanding Evolution line of gasoline powerplants. 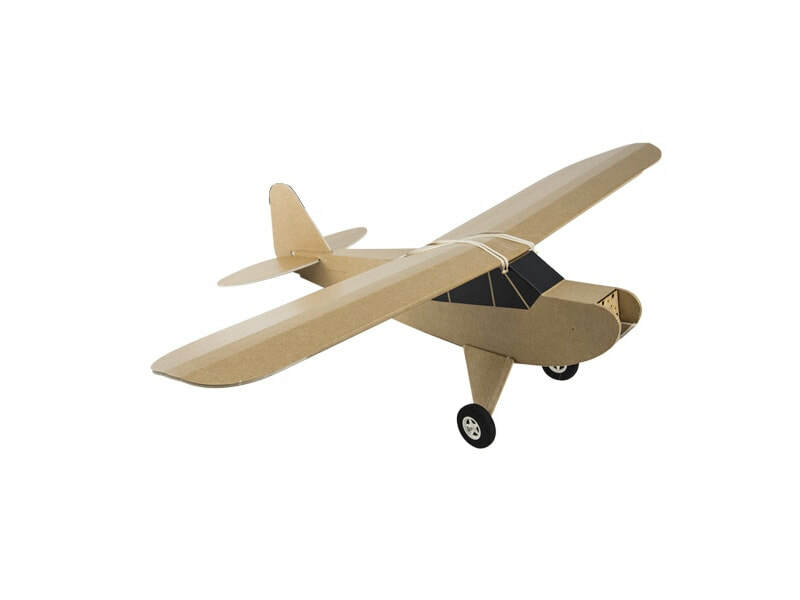 Every Evolution engine is purpose-built for model airplanes. Superior porting technology, Walbro carburetors, ball bearing-supported crankshafts and modern electronic ignition systems are all hallmarks of the line. As with all Evolution engines, the 40GX engine is backed by unmatched Horizon Hobby customer service and quality assurance. We have one of these in stock with the matching pitts style muffler.